André Stephens was appointed Vice President for Student Development in the summer of 2016. In this role, André leads a dynamic team of co-curricular staff who desire to provide authentic, meaningful learning experiences that foster the character of Christ in students. Specifically, the programs and services in the Division of Student Development include: Commuter Life, Global Student Programs & Services, Residence Life, Housing, Health Center, Title IX, Student Care, Student Communication, Student Programming & Activities, New Student Orientation & Transitions and the Learning Center. André has served on a number of University committees and task forces. He is also an active participant in higher education professional organizations having served as the president (2009–2010) of the North American Coalition for Christian Admissions Professionals. 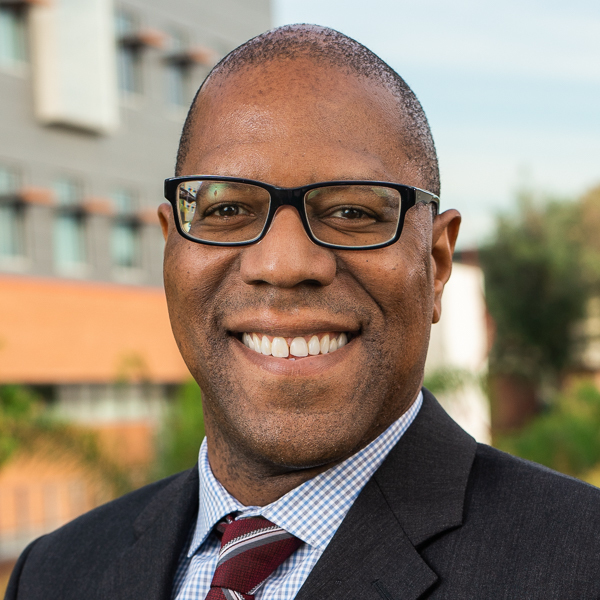 André completed his master's degree in speech communication from California State University at Fullerton in 2000 and is currently working on his Ph.D. in Higher Education Administration from Claremont Graduate University. André is married to Beth who is also a Biola alumna and has three children — two who are enrolled at Biola. He counts it a privilege to serve students as an educator and administrator at Biola University.